Even if Coulon attained a somewhat famous status, he remained humble, even refusing a lord William’s offer of 10 000 franc to travel. 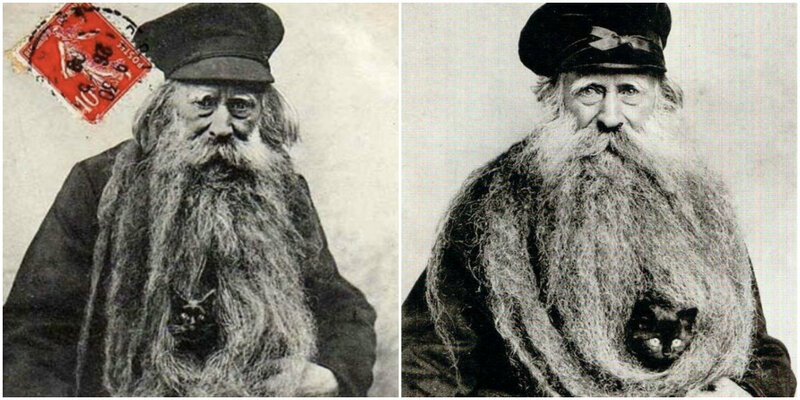 He was featured on many postcards, one in particular stating that his beard was 3.3 meters (11 foot) long as of May 10, 1904. Surprisingly, this beard is not considered the world record: that title belongs to Sarwan Singh of Canada, having a 2.37 m (7 ft 9 in) beard. To Mr. Singh’s defense however, there were no Guinness World Record judges prior to 1954… Let us hope, however, that Coulon’s beard will one day be vindicated!